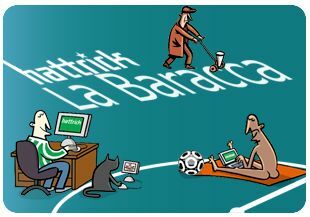 In this web site we've made some in deep analysis about the matches played in the online web game hattrick. Using the CHPP trust, we've been able to download and analyse a very large number of played matches. We've made some research on these matches, using mathematical algorythm and statistical analysis, trying to understand how the match engine works and how it is possible to put the most efficient lineup on the field. If you have any idea on how to improve the current site or how to make some new useful research, please don't hesitate to contact me directly on hattrick!